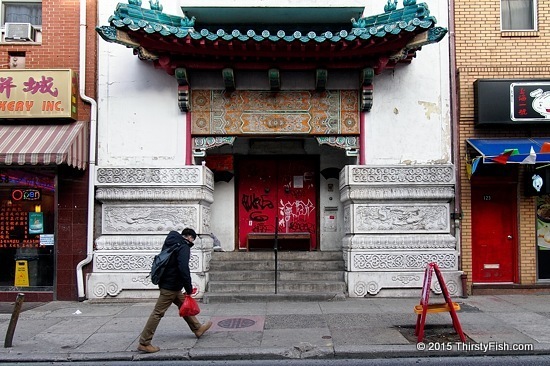 Philadelphia Chinatown Building / Malthusian Catastrophe? A traditionally styled building in Philadelphia Chinatown. A Cornucopian is a "futurist who believes that continued progress and provision of material items for mankind can be met by similarly continued advances in technology". Malthusianism, which holds that "unchecked exponential population growth will result in what is called a Malthusian Catastrophe, which would return populations to a lower, more sustainable level", is often cited as the opposite of Cornucopianism. But Malthusianism has its baggage. Influenced by Darwinism, it subscribes to the [false] concept of survival of the fittest. Capitalism is inherently cornucopian or more appropriately, there is almost no evidence that it concerns itself with the future or sustainability. It's about greed, and the fastest path to profit at all costs. Interestingly, Capitalism concurrently holds both Malthusian and Cornucopian premises. It advocates that every person must be "economically viable" for them to have a "right" to exist. But, the means of making a living are rapidly disappearing because of population growth, jobs moving to cheaper-labor countries in a globalized economy, and their overall reduction due to automation; Capitalists are fast becoming "owners of automation", robot owners. Pretty much wherever I go, every middle class merchant, restaurant owner and shop owner I speak to tells me that they are doing poorly or are on the verge of going out business. They are trying to understand what changed in the last four or five years. It's really simple. People do not have money. And the reason that they don't have money is because they don't have well paying jobs and many are in great debt. The Malthusian Catastrophe is here, but we didn't exactly expect it to be synthetically created by banks and corporations. Capitalism has declared a war on nature and on people.